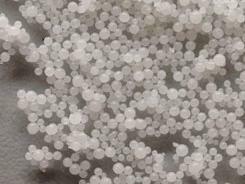 KatAn 10.000 is a coated anionic salt based on ammonium chloride. It significantly acidifies the cation anion balance of your dry cow diet. KatAn 10.000 can be used specifically in a TMR and with a feed mixer. 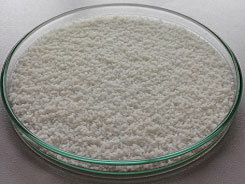 Also, like our other KatAn anionic salts dairy cattle products, KatAn 10.000 can be fed without the reduction of DMI. Because we use our in-house developed masking technique, we can remove the aversive taste. Thus, when feeding KatAn 10.000, we can prevent milk fever and calcium deficiencies. All the ingredients we use in our KatAn 10.000 are natural sources of energy that can be digested by the dairy cow. We developed KatAn 10.000 specifically for TMR’s and use for countries within the EEA (european economic area). Are you looking for an anionic salt to restore the cation anion balance of your dry cow diet for a country outside of the EEA? (e.g. Switzerland, England or the US). Than we recommend KatAn 13.000! Are you looking for anionic dry cow minerals that can be topdressed or used without a feed mixer? Than have a look at our KatAn Topdress. This product can be supplemented by hand on top of the regular feed. If you would like to receive more detailed technical info on KatAn 10.000, please fill out the contact form. As Kimtec International, we have a lot to offer! We are experts in the production and development of animal feed supplements and happy to answer your questions. Please give us a call at 0031-167-522121. You can also fill out the contact form. Also, take a look at our products page to get an overview! We produce high quality feed additives for high producing dairy cows. At Kimtec, we believe that we can and have developed economically feasible feed solutions that benefit your costs and the health of your herd. We create all our products according to GMP+ and HACCP standards and ship them worldwide!